is a professional scientific organization in veterinary medicine, constituted by a network of Scandinavian veterinary surgeons with a speciality in orthopaedic surgery. The society is focused on scientific work in the form of meetings, projects and education in orthopaedic surgery and related subjects in the Nordic countries (Sweden, Denmark, Finland, Norway and Iceland). We are deeply saddened to share with you that Fredrik Danielsson, our friend, collegue and founder of NoVOS, passed away on May 27 2018. It is a big loss for us and the veterinary profession. We will miss him dearly and he will always be in our minds. During this time, our thoughts are with his family. Update on events and facts in veterinary orthopaedic science. Establish a Scandinavian network of veterinary orthopaedic surgeons. Promote excellent education for veterinary orthopaedic surgeons. 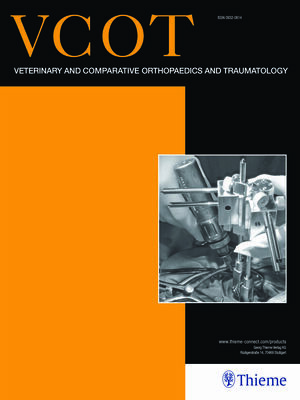 Promote modern research in veterinary orthopaedic science. Promote collaboration between member countries. A very successful scientific meeting concerning state of the art in orthopaedic surgery. Se pictures from the meeting!